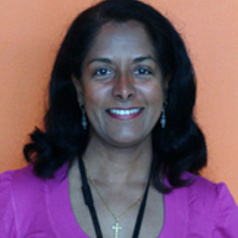 Vijaya is a clinical psychologist who completed her PhD from the University of NSW in 1999. Her earlier research focused on defining the diagnostic criteria for adult separation anxiety disorder and its overlap with other anxiety disorders including panic disorder and agoraphobia. More recently she has run treatment studies for depression and bipolar disorder utilising innovative psychological interventions such as mindfulness meditation and wellbeing groups. Vijaya is also involved in a study examining the effectiveness of an online positive psychology program which aims to increase wellbeing and resilience in young people between 12 and 18 years of age.